The Amazon Echo is what started the smart speaker craze that now has Apple taking care of the high-end with its HomePod. But it sounds like Amazon is hitting back with a new and improved Echo speaker, which is also what Google is rumoured to be doing - beefing up Google Home with better sound. So what's around at the moment? First up is the Amazon Echo Dot. In our T3.com review, we called the Echo Dot a 'no brainer' to buy. 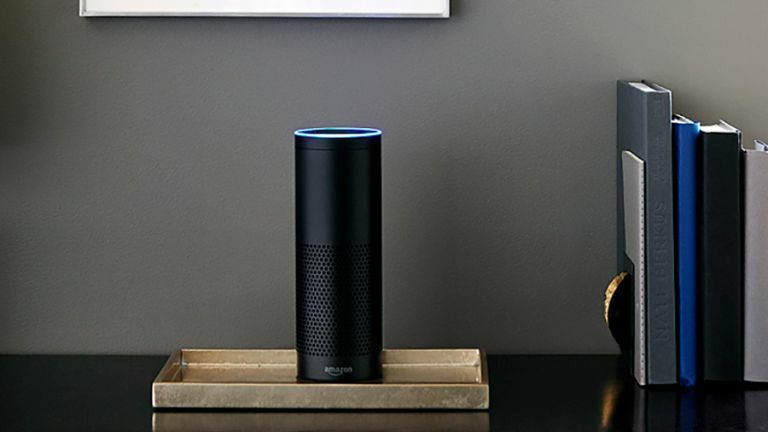 It's a hands-free, voice-controlled device that uses Amazon's voice assistant Alexa to play music, control smart home devices, provide information, read the news, set alarms and more. And then there's the US-only Amazon Echo Show. Headline new features include the ability to act as a digital photo frame, with the Echo Show pulling any pictures stored on a user's Prime Photos account, showing a song's lyrics on screen when a track is being played with Amazon Music, relaying video feeds from any connected security cameras, and in what will no doubt be the biggest sell to many, access to video and voice calls. The source claims the new Echo will feature more tweeters than the current model which has just one with a woofer for the low end. This is likely to compete with Apple’s HomePod which features seven tweeters for high quality sound. No pricing has been mentioned yet but a release date of this autumn is expected, so more details should leak soon. If this offers quality akin to Apple’s HomePod but stays at the Echo price it will seriously undercut Apple. We’ll have to wait and see. HomePod: is Apple's new speaker too late?